An A/R aging report will typically list customers on one side (either alphabetically or by size of debt, depending on how it’s filtered) with invoice amounts in 30-day columns going across to 90 days plus. Most accounting software also allows you the ability to create a detailed A/R report as well, which shows each individual item or invoice due based on vendor. This helps when accounting needs to identify individual invoices for collection. Also, keep in mind that modern accounting software typically allows for you to filter and modify this report based on various factors (for instance, if you offer Net 15 or Net 45). An accounts receivable aging report typically invoices but it can also include unused credit memos. An A/R aging report helps you view the invoices your business is owed clearly on one page so you can stay on top of your accounts receivable and keep the cash flowing. However, the report serves other important functions as well. Why is an accounts receivable aging report important? To put it simply, the report tells you how much your money your company is owed, therefore the report that has several important uses in business loan underwriting. What you have due to you can also be added to your balance sheet to show larger equity. When it comes down to business financing many lenders view accounts receivable as an asset (even though its very different than physical assets like property or vehicles) thus making institutions more likely to extend credit if a good amount of receivables are due. Not all businesses have accounts receivable. If you accept only credit card transactions for goods and don’t offer credit of any kind you won’t have any accounts receivable because the entire amount of a transaction is paid at the time of purchase. Most retail businesses do not carry receivables because they tend to sell product for cash on delivery. However, if you bill your customers or offer any sort of credit or net terms, accounts receivable is an important metric that you need to stay on top of at all times, otherwise your business’ cash flow can suffer. With an accounts receivable aging report, you can forecast cash flow, allowing you to more effectively plan for the future. Nowadays, it’s generally much easier to use a software like Quickbooks to generate account reports such as an A/R aging report. However, we’ll also provide a template at the end of this section which you can use in Google Sheets if you’d like to do it manually. An accounts receivable aging report is a standard report which you can generate using virtually any accounting software, however, some are better suited than others for a business’ accounting needs. Quickbooks is the most popular of all accounting software, offering everything your business will ever need for accounting purposes. And unlike Freshbooks on this list, Quickbooks is a full accounting software. However, also unlike Freshbooks and Xero, fees for using the Quickbooks software grow as your business grows and can become quite steep. 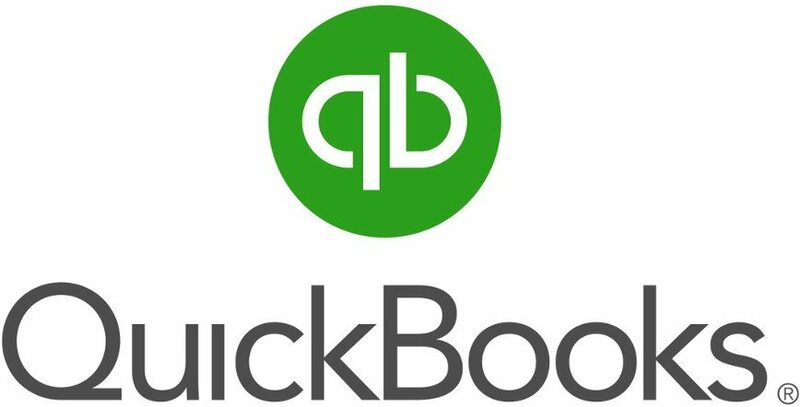 Quickbooks offers both a cloud-based and desktop software version. 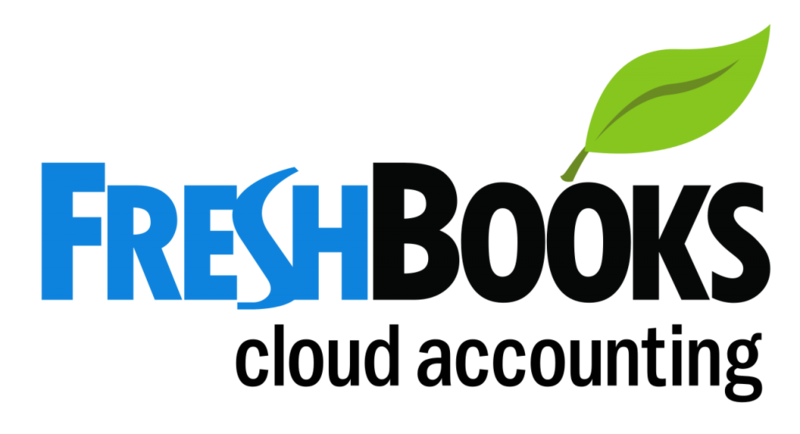 Freshbooks is another popular accounting software, this one a bit more intuitive and easier to use than Quickbooks. Fees also stay the same as your business grows, making it a much more affordable option when compared to Quickbooks. However, be careful because Freshbooks isn’t a full accounting software like Quickbooks, so you’ll need to make sure beforehand that it does everything you need it to do. 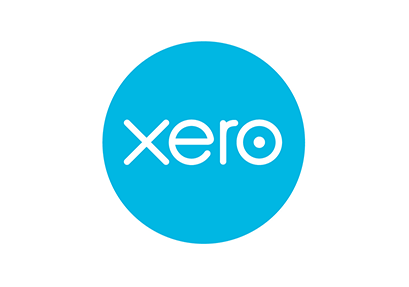 Like Quickbooks and Freshbooks, Xero is also an all-in-one accounting software. The software does a great job of growing with you and the fees don’t increase as you’re company grows like they do with Quickbooks. However, it does start off a little pricier compared to both Quickbooks and Freshbooks. 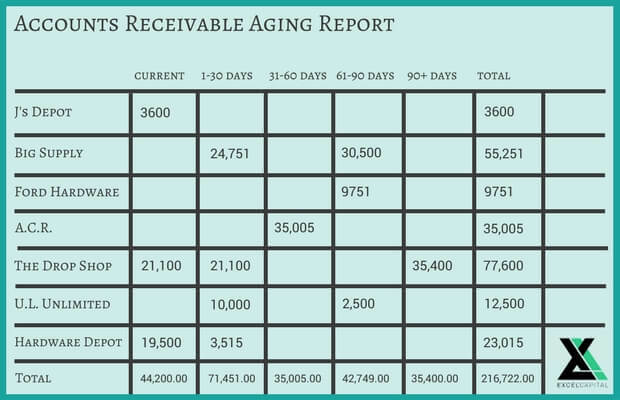 If you’d prefer to create your accounts receivable aging report manually with a software like Microsoft Excel or Google Sheets, you can do that as well.